Designed to provide support to community-based organizations that help people become more self-sufficient and that enrich their lives. Sonya Mackintosh believes in giving back to her community. That's why smARTWORKS, Inc. contributes to the local economy in ways specifically pertaining to animal rights, cultural organizations and health issues that are close to her. Each season a selection of styles and an organization are paired. 15% of the sales of those items will be donated to the organization. 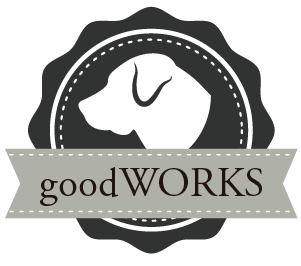 All goodWORKS items will have a * next to its color option. 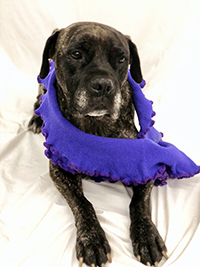 All regularly priced violet and purple items are being offered this season as part of the goodWORKS program. All yellow and gold items are being offered this season as part of the goodWORKS program. 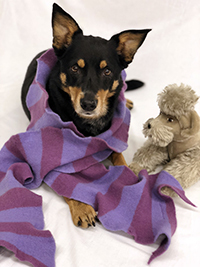 This season's selection, available from November 2018 - March 2019, will benefit Big Fluffy Dog Rescue. 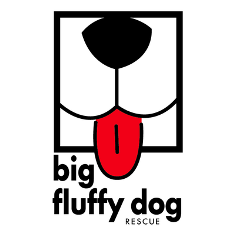 Big Fluffy Dog Rescue is a 501(c)(3) organization dedicated to helping giant breed and mixed breed dogs in need. Their dogs come in to rescue for many different reasons. Many were abandoned at high kill shelters. Some were turned in by owners who could not properly care for them and still others are failed livestock guardian dogs. Regardless of their origins, their goal for every dog we have is the same: a safe, happy home where each dog is a well-loved member of the family. Sonya has chosen Big Fluffy Dog Rescue because the newest addition to her family came from there! 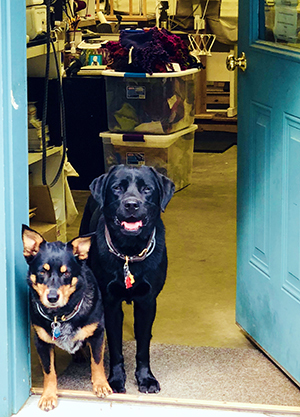 Sonya has traditionally raised Labradors but recently began researching smaller breeds with longer lifespans after the passing of one of her beloved Labs. Sonya chanced upon a picture of Ellie online, and her heart skipped a beat. Ellie looked just like the dogs that Sonya's grandmother, Gwen Mackintosh, had raised and registered with The Kennel Club: the Lancashire Heeler. Ellie had been surrendered to the Rescue due to "difficult" behavior issues. 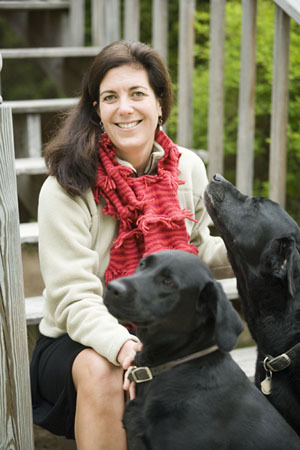 Sonya applied through Big Fluffy Dog Rescue to adopt Ellie and was impressed with the professionalism of their service. It's clear that they LOVE their dogs and value placing them in a home that would be their best match above all. When Ellie came to live with Sonya's family, she had Ellie's DNA tested. The results put Ellie's behavior into perfect perspective. 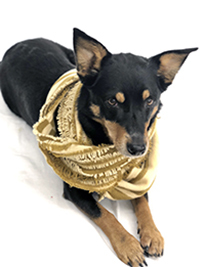 Part Working Kelpie, known for its unlimited energy, and part American Eskimo Dog, noted for its quick and clever mind, Ellie is a bundle of energy with a keen intelligence. In other words, she's always ready to play, explore, get to work, and even rustle up some trouble if she can with her best friend, Tessa! She brings joy to Sonya's home and the smARTWORKS studio. Thank you Big Fluffy Dogs! The Housatonic Valley Association (HVA) believes that a healthy Housatonic watershed is in our reach. Together we can protect, restore and enjoy our valley! HVA protects the natural character and environmental health of the entire Housatonic Watershed for this and future generations. Godspeed Horse Hostel Inc. is a registered 501c3 not-for-profit horses rescue. In 2015 their Hay Bank program for horses, farm animals and other hooved animals, donated 765 bales of hay, and in 2016, donated 985 bales of hay to other rescues, horse programs that service children or the disabled and responsible horse or farm animal owners who were experiencing a temporary financial hardship. Rather than re-home their animals, send them to auction or take a valuable place in a rescue for a truly unwanted, neglected or abused horse, the hay bank offers short term assistance. Girls Inc. has grown into the premiere leadership program in Berkshire County for girls and young women. Each year nearly 1,000 girls from 22 towns and at 17 sites take part in their programs. Their mission of inspiring all girls to be "strong, smart, and bold" has remained for nearly a century with a special emphasis to become responsible, confident and personally fulfilled individuals. The Volunteers in Medicine Berkshires free clinic provides access to quality health care for income qualified, uninsured residents of the Berkshire region in a respectful and caring manner. Equine Rescue, Inc. is a nonprofit organization whose mission is to rescue and provide care, rehabilitation and adoption services for abused, neglected, and abandoned horses. 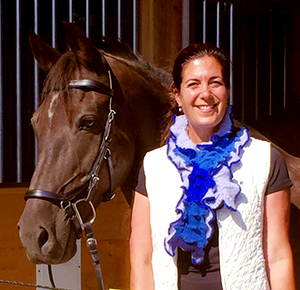 It is a Hudson Valley sanctuary to all the horses that cannot be placed and it does not euthanize for space. While Equine Rescue, Inc. is limited in the number of horses they can help, the ones they do help are promised a home for life. HospiceCare in The Berkshires offers quality, compassionate services for those living with a life limiting or terminal illness. CATA nurtures and celebrates the creativity of people with disabilities through shared experiences in the visual and performing arts. The Berkshire Humane Society is a private, nonprofit, open-admission animal support organization with a twofold mission: to ensure the compassionate care, treatment, and whenever possible, placement of homeless animals through the shelter operation, and to promote and improve the welfare of all animals through community education and outreach. This program is currently limited to retail sales online and a cap of $1000 gifting total per season.